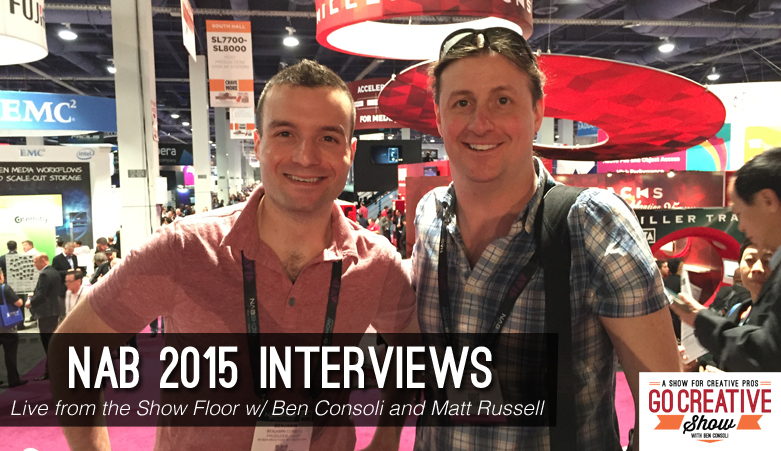 Today we’re joined by Matt Russell as we continue our coverage of NAB 2015 with interviews from the show floor. We speak directly with representatives from Canon, Blackmagic, LitePanels, Small HD, Avid and many more. During the 4 days of NAB, Matt Russell and I walked the show floor capturing interviews from the top newsmakers. Canon’s Paul McAniff talks about the C300 Mk2 and XC 10, Eric Kessler from Kessler Crane shares insight into their latest and upcoming products. We speak with Avid, Atomos, AJA, Other World Computing, Small HD and so many more. We begin with an interview with Dan May the President of Blackmagic Design talking about the Ursa Mini, Ursa 4.6K, Resolve and more. Dan May, President of Blackmagic Design shares info on the Ursa Mini, Ursa 4.6K, Micro cinema camera, Resolve and more. Avid’s Dana Ruzicka talks Media Composer, Protools First and collaboration and commerce.